nice shot for the theme! I’m going to Japan later this year and I can’t wait to visit this place. Hi there! This is a gorgeous picture! My husband has seen this in person. He was an Army officer and lived in Japan for 4 years. Really?? How very cool! And have you visited Japan? Or has he ever been back since? I’ve not been there. 😦 This was before we were together. He lived there from ’86-’90 and hasn’t had the opportunity to go back. He loved it there and would love to take me sometime in the future. Great! I missed this, when I was in Jappan! It’s pretty spectacular! Reason to go back, maybe? Thanking you for both of your encouraging comments! Nice shot. I would have liked to see a little more expanded (water) foreground. But will definitely keep in mind for future similar shots! Thanks Shelley 🙂 Hope you both are well!! Beautiful! 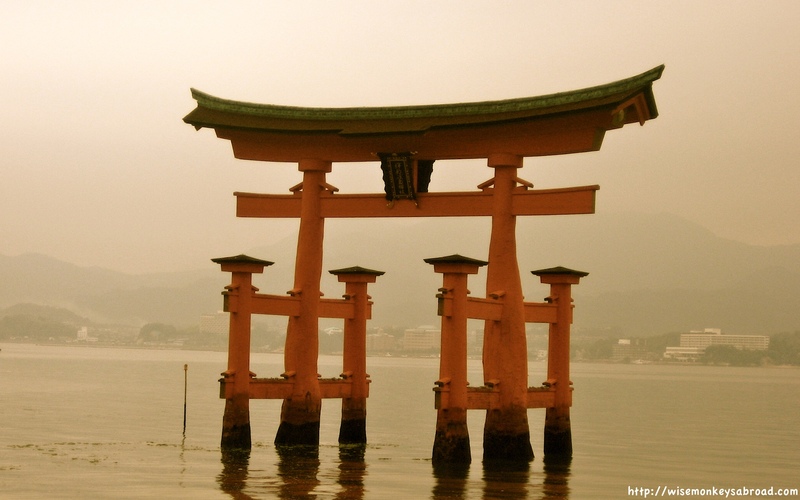 Miyajima is a very special place – when I visited one Christmas, it was snowing very lightly giving the island a magical light!